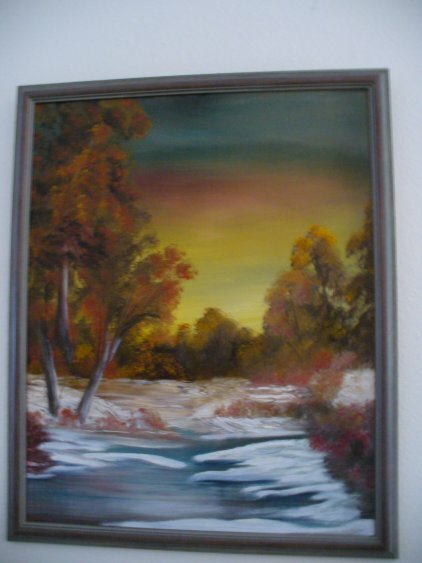 My Original Painting ... "Early Autumn Snow"
This painting measures 17 3/4" x 21 1/2" and is for sale at 299.00 (U.S. Dollars), not including shipping. The oil painting is framed, with a dustcover on the back... ready to hang.